Researchers have long debated the causes of Angkor's demise in the 15th century. Historical explanations have emphasised the role of aggressive neighbouring states, and the abandonment of Angkor in 1431 A.D. has been portrayed as a catastrophic demographic collapse. However, new scientific evidence shows that the intensity of land use within the economic and administrative centre of the city declined gradually more than 100 years before the supposed collapse, implying a very different end to the city. 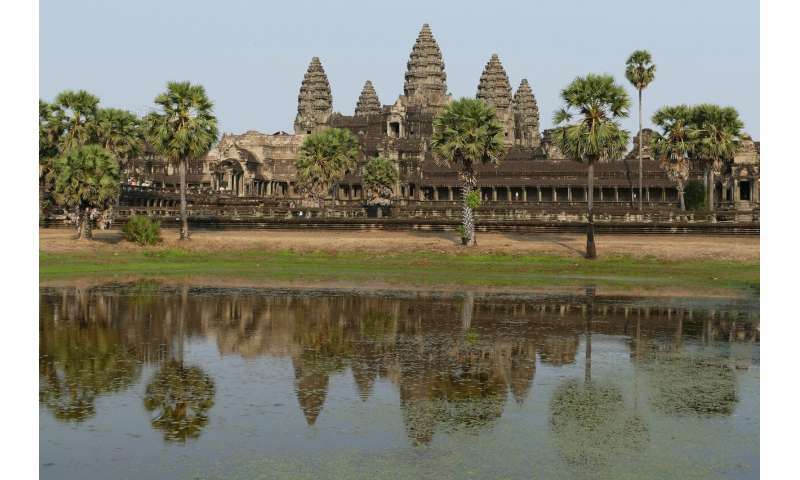 Associate Professor Dan Penny from the University of Sydney's School of Geosciences examined sediment drill-cores extracted from the moat surrounding Angkor Thom, the last and largest of Angkor's walled citadels. "Changes in land use leave tell-tale traces in sedimentary deposits that can be measured. Measuring these traces in drill-cores allows us to reconstruct what people were doing in the landscape over long periods of time," Associate Professor Penny said. In a new study published in the prestigious PNAS journal, Associate Professor Penny and co-authors show that evidence for forest disturbance, soil erosion and burning all declined in the first decades of the 14th century, suggesting a sustained decline in land-use in the commercial and administrative heart of the ancient city. By the end of the 14th century, the moat was covered in floating swamp vegetation, which indicates that it was no longer being maintained. The findings suggest Angkor's demise was not a catastrophic collapse caused by the Ayutthayan invasion or by infrastructural failure, but a gradual demographic shift by the urban elite. "Our study suggests the inhabitants didn't leave Angkor because the infrastructure failed, rather the infrastructure failed (or was not maintained or repaired) because the urban elite had already left," said Associate Professor Penny.